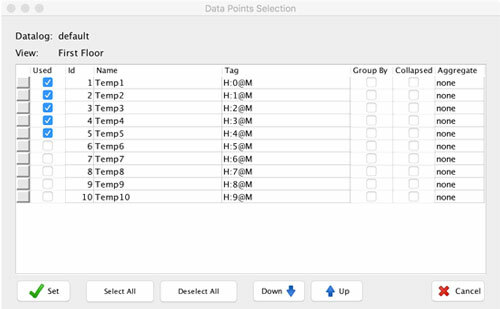 The data points selection dialog enables you to select data points to be included in your data-log view. Select the data points you want to include on the left side of the table. Once you specify all required parameters, you can save your data-log view and show it in runtime. 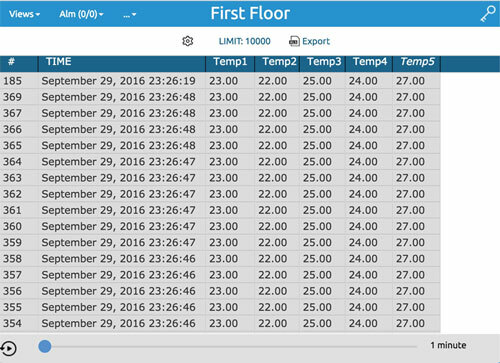 A list of all data-log views can be found in Main Application Menu under the “…” -> data-logs section.